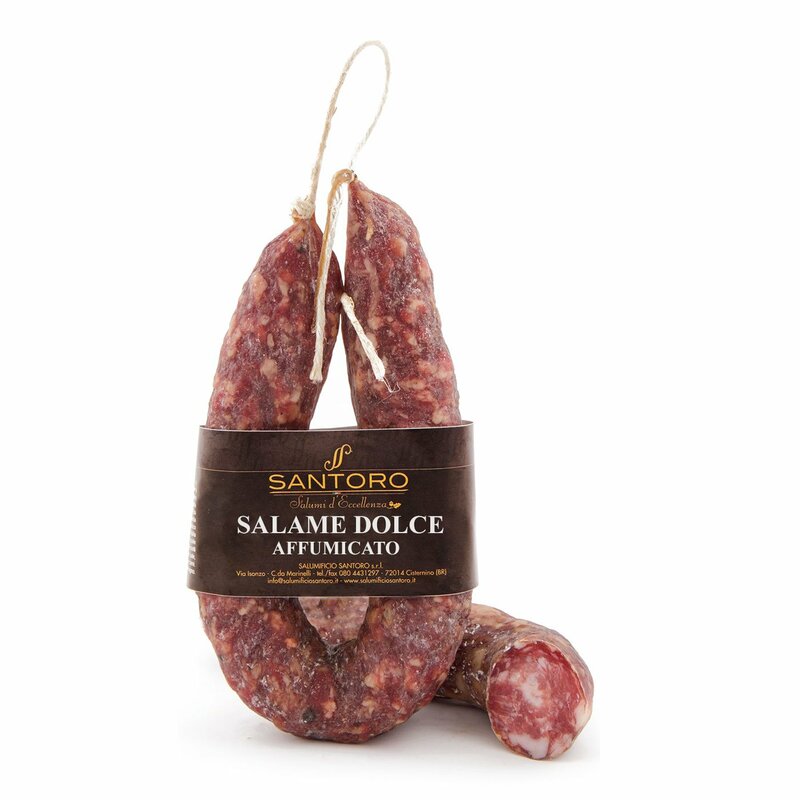 The "staffa," or "stirrup," is the distinct shape of the Sweet Smoked Salame. The name comes from the natural casing into which it is stuffed. Smoking with Macedonian oak bark and almond husks gives it its unmistakable scent.